The gift of growing up in a multicultural environment is one to be cherished and shared. 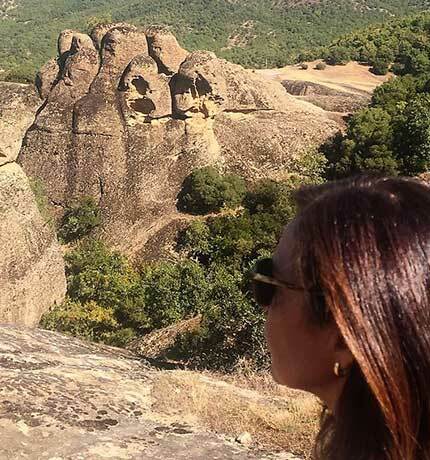 Born in Athens from expat Greek parents from Alexandria, Egypt, I have embraced the culture and tradition of my beloved home country and have committed myself to sharing this gift with others, through the curation of refined travel experiences. Ambitious and curious about discovering the world from a young age, my childhood summers were spent creating wonderful and lasting travel memories with my family. My father had a great passion for sophisticated cars. Every summer, we would commence our European road trip adventure from London, soaring through the ever-changing landscape of dramatic cliffs, verdant meadows, and crystalline lakes, until we would reach the land of joie de vivre — the French Riviera. After obtaining my graduate degrees in economics and in Information Science in the U.K., I began my corporate career in consumer electronics, retail, shipping, and financial consulting. As my position entailed extensive global travel, it gave me first-hand insight into the needs of busy, demanding executives. I myself was an extremely demanding business traveler - always searching for authenticity, quality and style. Having spent 15 years as managing director of a company in the chemical plastics sector, I felt it was time for me to make a change. I decided to apply my charisma and talent to creating authentic travel experiences for others. This is where the story really begins. FLY ME TO THE MOON was launched in early 2014. As a passionate globetrotter with an eye for style, culture and refined experiences, my vision is to reveal the true Greece and deliver unparalleled travel experiences to all of you. 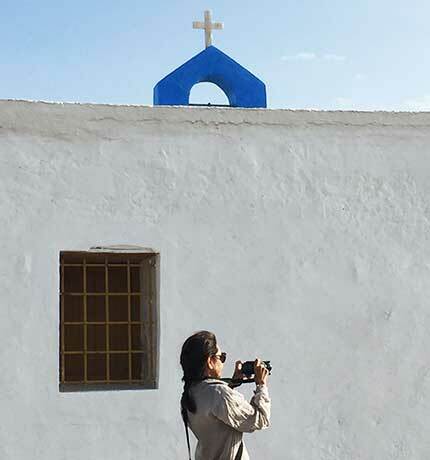 I aim to introduce you to a lesser known side of Greece; to capture its natural wonders and its traditions -old and new- and discover the real sense of its culture & inspiring heritage; to embrace its truly local authenticity. With my talented team and meticulously selected providers, we provide insider access to awe-inspiring environments and unforgettable adventures. We are committed to staying ahead of the trend in providing exclusive luxury accommodations, unique gastronomic and culture experiences. Our travel solutions cater to your bespoke needs and to all private and corporate customers who are adventurous, sophisticated and intellectually curious.